This “Make and Take” project would be a great gift for the little ones. 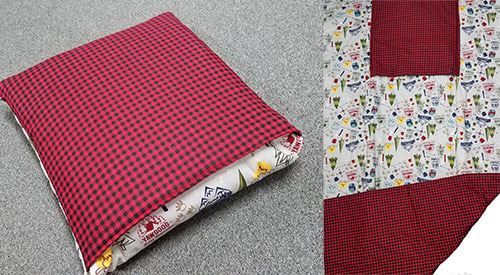 This pillow quickly turns into a blanket. Convenient for traveling and sleepovers! Class cost is $15, or $40 for all 4 “Make and Take” classes.